Metrographics®, a full service commercial printer, needed a simple, yet easy way to thank customers for their business at the end of the year. 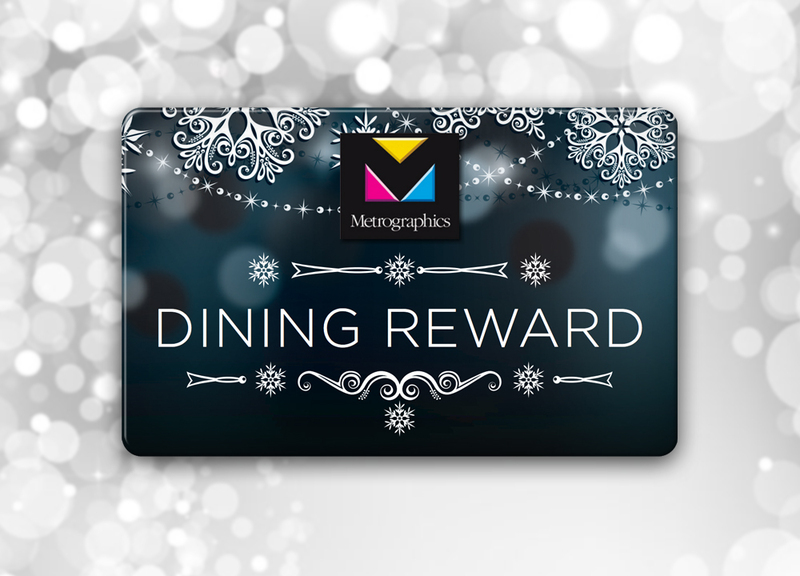 As a holiday gift, they decided to give customers a $25 Dining Rewards Card redeemable at any restaurant of their choice. Once recipients received their gift, they were directed to a custom-designed landing page that added even more branding to the promotion. 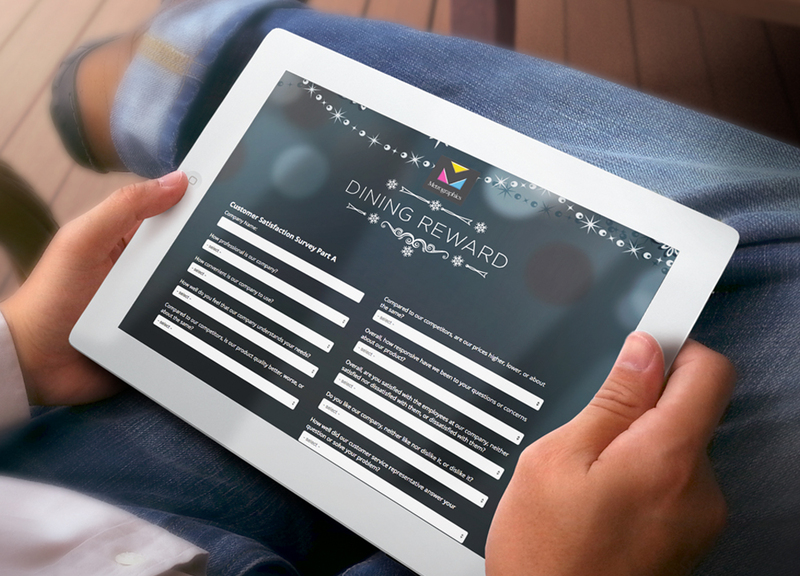 Customers were asked a few customer service questions before entering their code, and once they gave their feedback, they were directed to the dining rewards platform where they got to choose their certificate. In addition to rewarding and thanking customers with exciting gifts, Metrographics got the opportunity to receive customer feedback that could help their business in the upcoming year. This giveaway simplified rewarding and helped Metrographics achieve the customer service success they were looking for. Over half the population loves to dine out, so giving customers a night on the town was an excellent way for Metrographics to thank customers for their service.